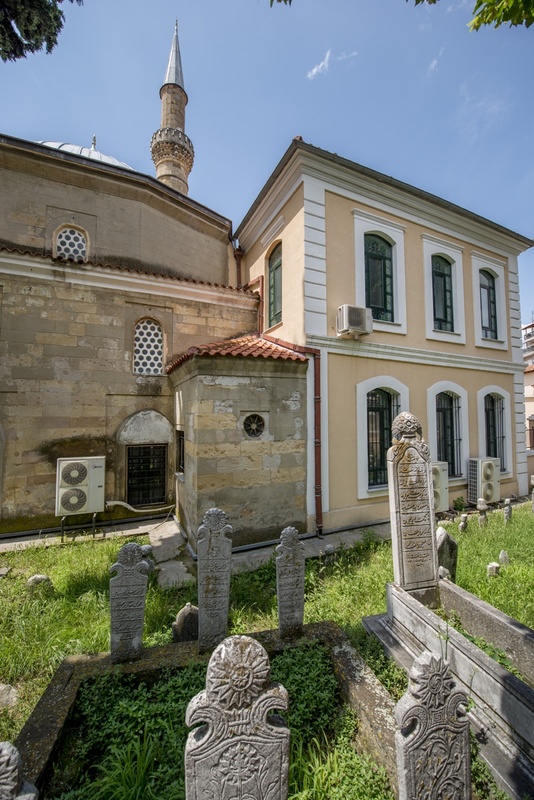 oriented towards Mecca, which presents sculptures, while beside him is built the famous tiles of Bursa, which decorated flowers and stems, while distinct and inscription from the Quran. 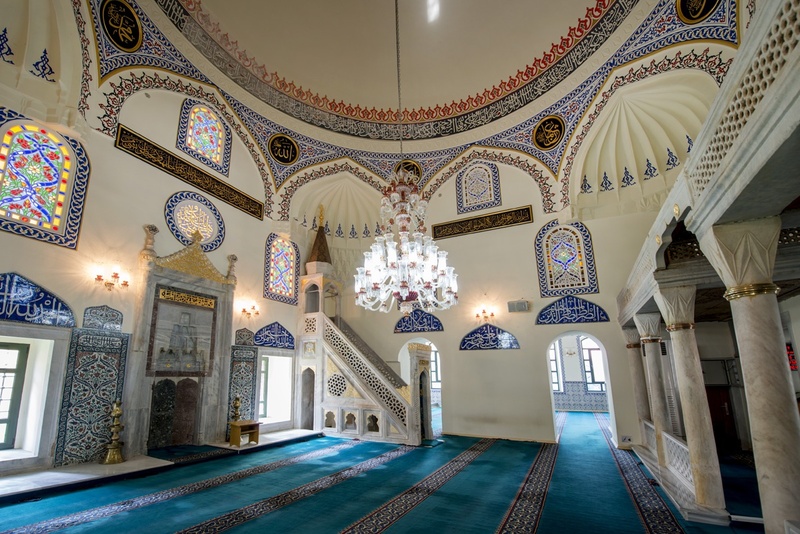 Equally impressive is the marble Minbari, the pulpit where the Imam leads the prayer, which is decorated with reliefs and these floral and geometric designs. 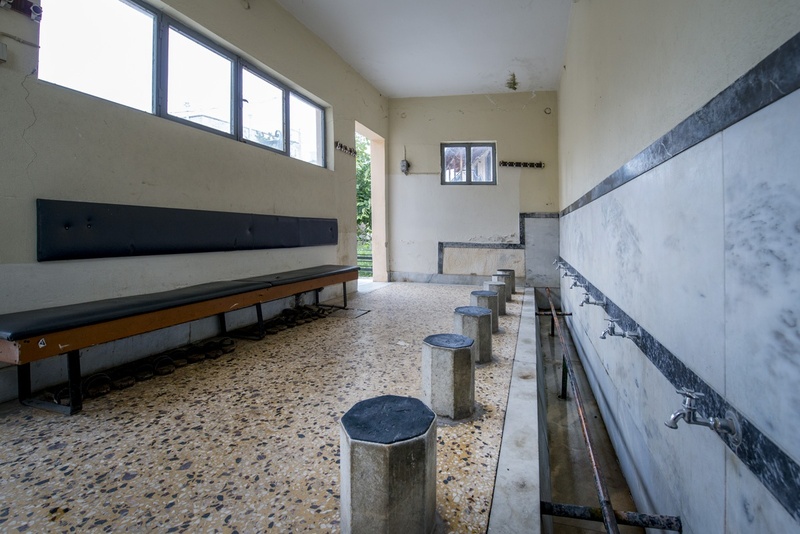 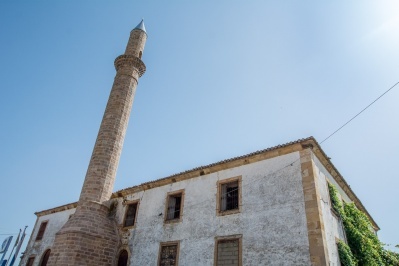 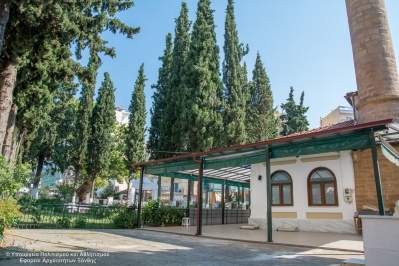 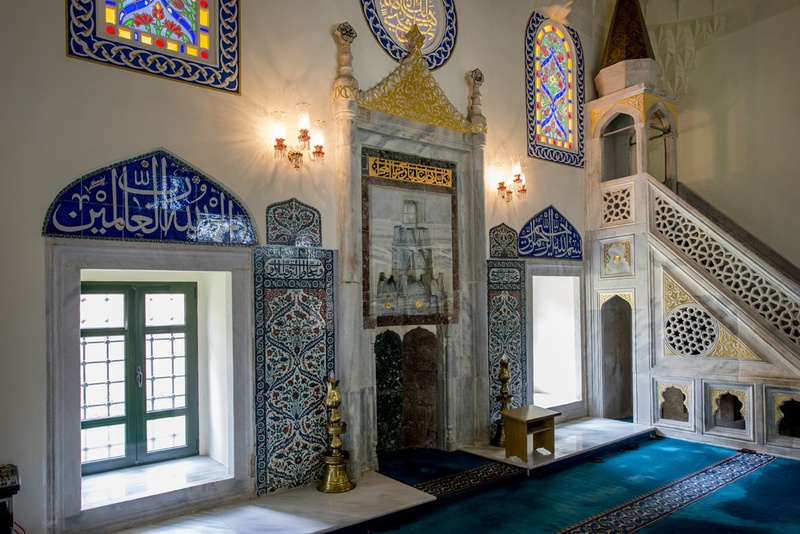 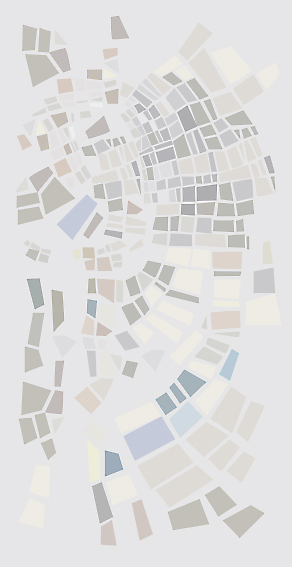 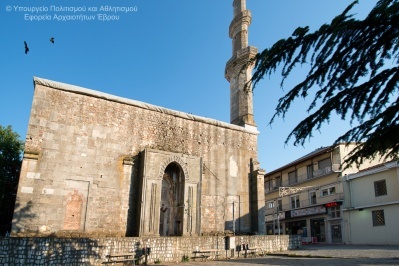 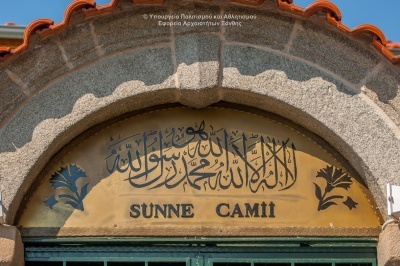 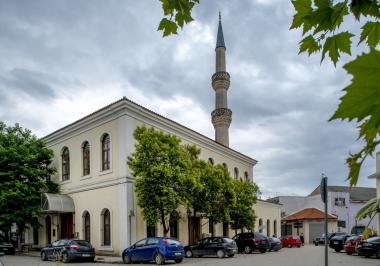 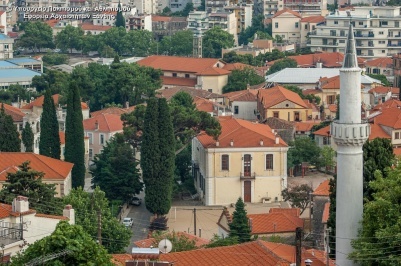 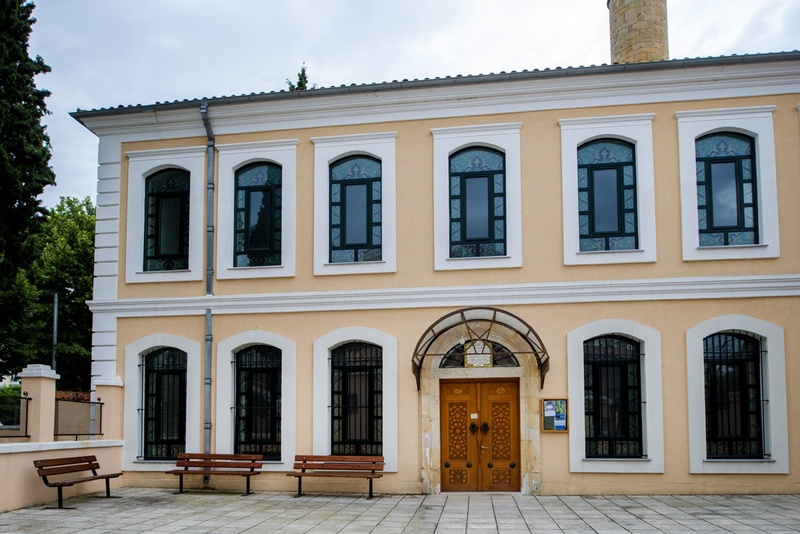 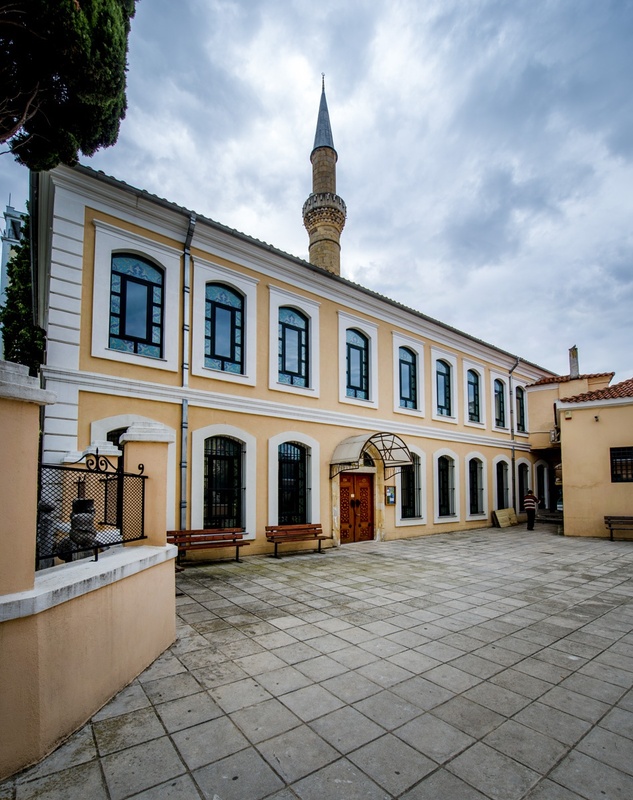 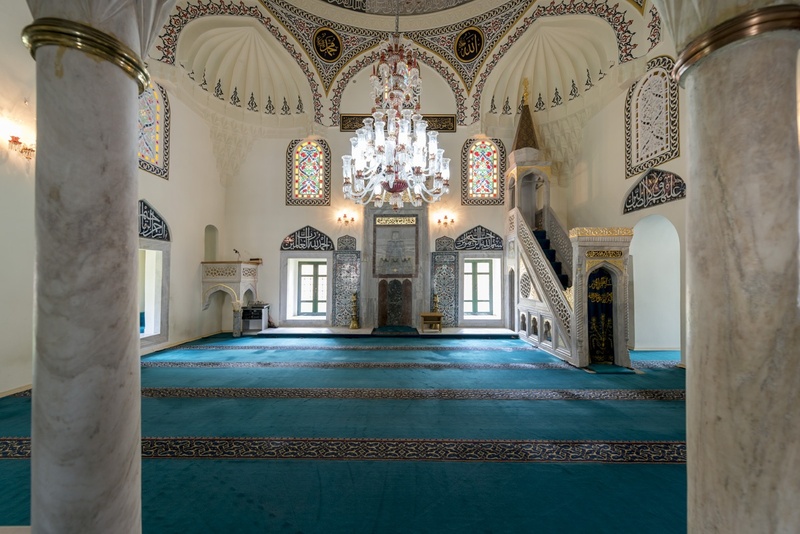 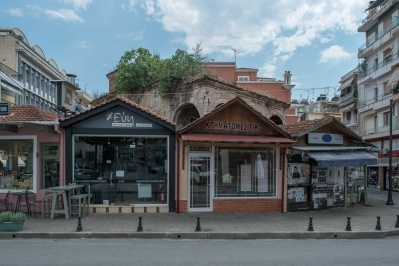 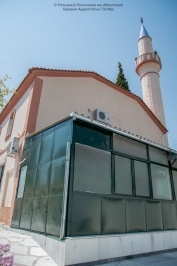 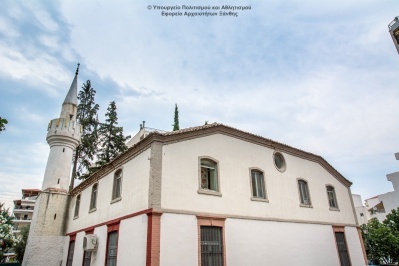 It should be noted that although the mosque is called "New" (Yeni Mosque) is older by about 25 years of the so-called "Old" Mosque (Eski Mosque).